Desc: Sterling Silver enamel Panda clip on earrings. 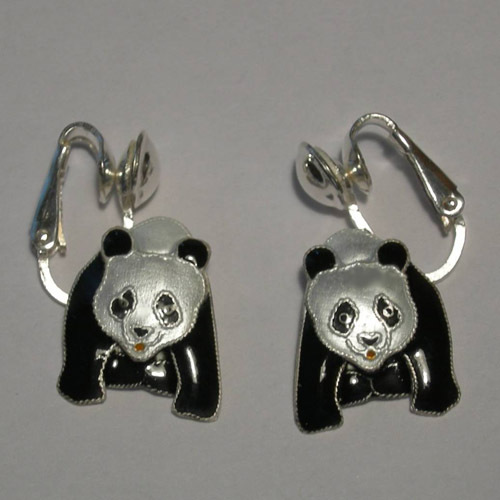 The Panda earrings are fashioned from Sterling Silver. The Panda bears are in seated position. The enamel is over the front of the pieces. The earrings are available as dangle pierced design (Contact us for information). The earrings have a bright polish finish.